A Velcro organizer can free up your hands and your purse. On a coupon organizer Velcro can be a lifesaver. 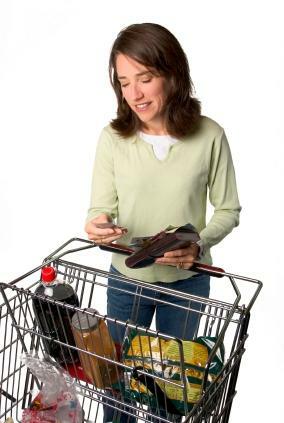 In some cases, the Velcro is there to keep the coupons in place if a person drops the organizer or it shifts in the shopping cart. It works better than simply tucking the lid into the body of the organizer and, unlike a snap closure, it does not become difficult to undo with one hand. In other cases, the Velcro actually fastens the organizer to the cart so that it can't get dumped over in the first place. It's likely that pretty much everyone in the United States has owned a Velcro product at some time, whether it was the laceless tennis shoes they wore as a kid or a pair of wrist guards or knee pads for sports. Velcro is actually a brand name for a type of nylon or polyester fastener. Each piece of Velcro consists of two halves. The hook half, or the rough side of the Velcro, is coarse and spiky to touch since it consists of hooks meant to grab the other side; the loop side. The loop side is soft because it has no sharp edges. It is just loops of fabric stuck together in a large mat; kind of like a looped carpet, only smaller. When these two pieces are put together, the hooks grab the loops, making the Velcro stick together. People who wish to save money or who want to have a unique coupon organizer can make their own. They'll need six plastic zip pouches, like the kind kids use to carry their pencils, in the smallest size they can find; a needle and thread; and a strip of self-sticking Velcro that is the same length as the longer side of the pouches. Stack five pouches on top of each other so that the zippers are lined up. Use the needle and thread to sew the bottoms and sides together using overhand stitches. Do not connect the tops of the pouches. Cut the sixth pouch along its side seams and bottom seam, leaving the top seam intact. Unfold it so that the zippered piece is now in the middle of the sheet of plastic, running across horizontally. Above the zipper will be an extra piece, which will serve as a flap to attach the organizer to the shopping cart. Put this piece on the bottom of the stack, lining this zipper up with the others. Sew it on three sides as you did with the other pieces. Attach the hook half of the Velcro piece to the back side of the very top of the flap. Put the other piece where the first one would logically fall when the flap is wrapped around the handle of a shopping cart. Once you complete this final step, you can start inserting coupons into both the zippered areas and the creases in between them. If you want to be sure the Velcro is in the right place you can wait to attach the loop half when you get to the grocery store. As a material for use on a coupon organizer Velcro is a good one, but it is not perfect. Velcro can lose its ability to stick well if the hook side gets clogged with any type of fuzz or hair. It's important to keep the two sides of each Velcro piece together even when the organizer is not in use. This will help keep the Velcro clean so that it will last longer.